Chelsea Grin is an American deathcore band from Salt Lake City, Utah. Formed in 2007, the group is currently signed to Artery Recordings and have released two EPs, two full-length albums. The name of the band is derived from the torture method of the same name. Chelsea Grin finished writing and recording their second full-length album in June 2011, where the title for it was revealed as being My Damnation. It was released the following month on July 19, 2011. On April 17 Artery Recordings released the title track as the album's lead single off the album, having a music video produced for it weeks later. The song "All Hail The Fallen King" featuring Phil Bozeman, vocalist of Whitechapel, also premiered before the record's release. Chelsea Grin toured in-support of the album with Emmure and Attila before being included on the All Stars Tour, which featured those same bands and many others such as After the Burial, Born of Osiris and Motionless in White. 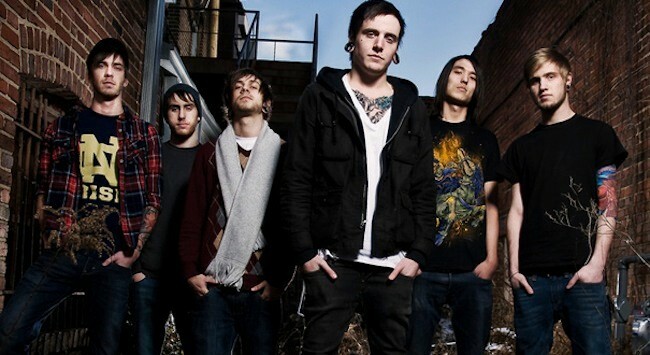 Chelsea Grin are set to play the entire Warped Tour 2012. At the same time of the Warped Tour announcement, plans for releasing a 5-song EP were confirmed. During December of the year, lead guitarist, Michael Stafford left the band. Born of Osiris (and former All Shall Perish) guitarist, Jason Richardson took up Stafford's position until further notice. Stafford explained that he could not bear touring anymore along with other reasons for the explanation of the departure. Less than a week later, Richardson was kicked out from Born of Osiris, and then immediately switched his position as a substitute member for Chelsea Grin to a permanent member.